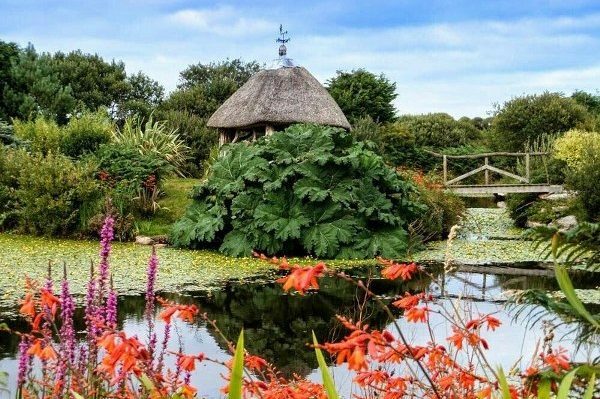 9 acres of woodland and ponds, kept as natural and wild as possible with sympathetic planting of native trees and plants mixed with a few exotic varieties, encouraging butterflies and bees. Campfire hot drinks available, toilets and parking are provided. A3071 from Penzance to St Just. Go through village of Newbridge and turn left to Sancreed and the house is 500m on your left.